1865 is certainly a year to be remembered in American history! Marked by both victories and losses, this year helped prove that goodness can triumph overall and conflict can be resolved. After four very long and devastating years the Civil War came to an end on April 9, 1865 when General Robert E. Lee surrendered to General Ulysses S. Grant in Virginia. A short five days later, tragedy struck when Abraham Lincoln was assassinated at Ford’s Theater on April 14th thus ending his successful presidency. Fortunately, even after his death his leadership and successes lived on as the 13th amendment was ratified on December 18th. This is what Lincoln had worked toward his entire presidency and slavery was finally outlawed, free thousands of African-Americans. 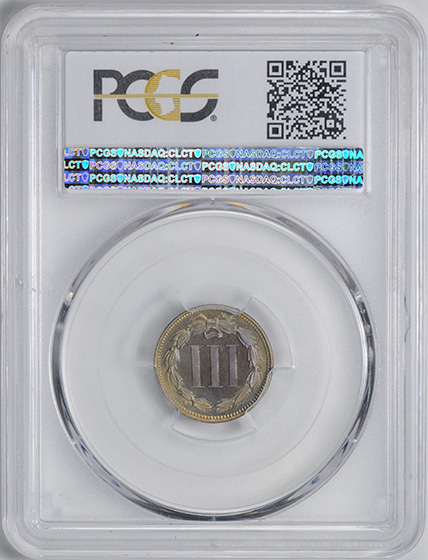 It’s curious, however, that another three-cent coin legislation passed through Congress in 1865. 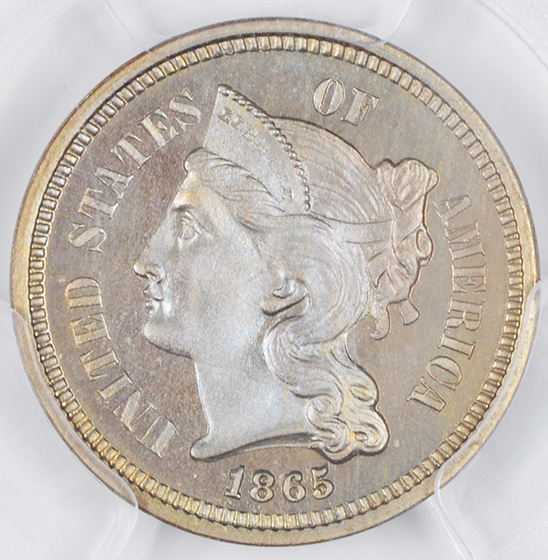 Coinage circulation was heavily depleted during the civil War due to hoarders and attempts to store currency overseas. In an effort to deter hoarding the government issued paper notes, tokens, and fractional paper money, all of which were hated by consumers. These replacement paper monies were easily lost, damaged, or dirtied which created a need for a new coin. Unfortunately there was a heavy opposition against nickel usage in U.S. currency throughout congress, but Joseph Wharton, who owned several nickel mines out west, lobbied feverishly for nickel alloy currency. Wharton’s platform presented nickel as the lesser of two evils, where nickel would not be hoarded like precious metals, thus winning over naysayers. 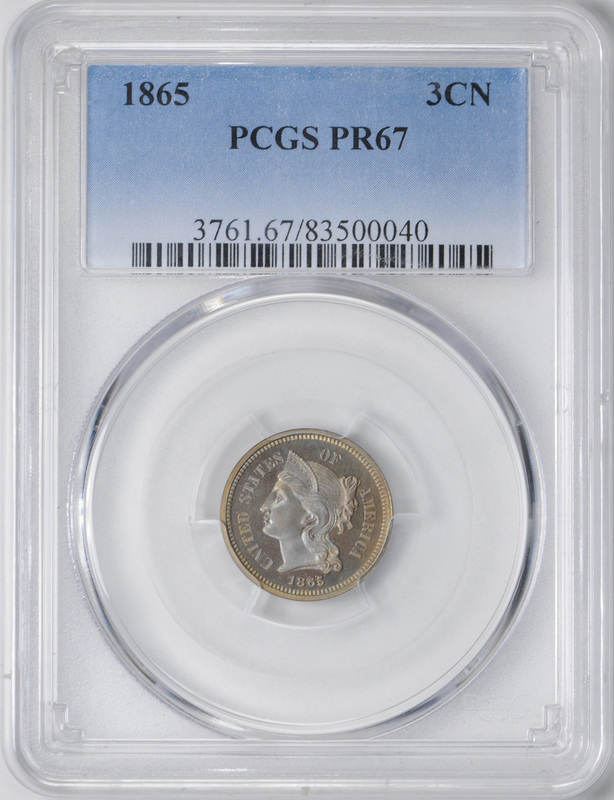 Previous coins did in fact have traces of nickel in their compositions, but no other coin had nickel in its composition title. 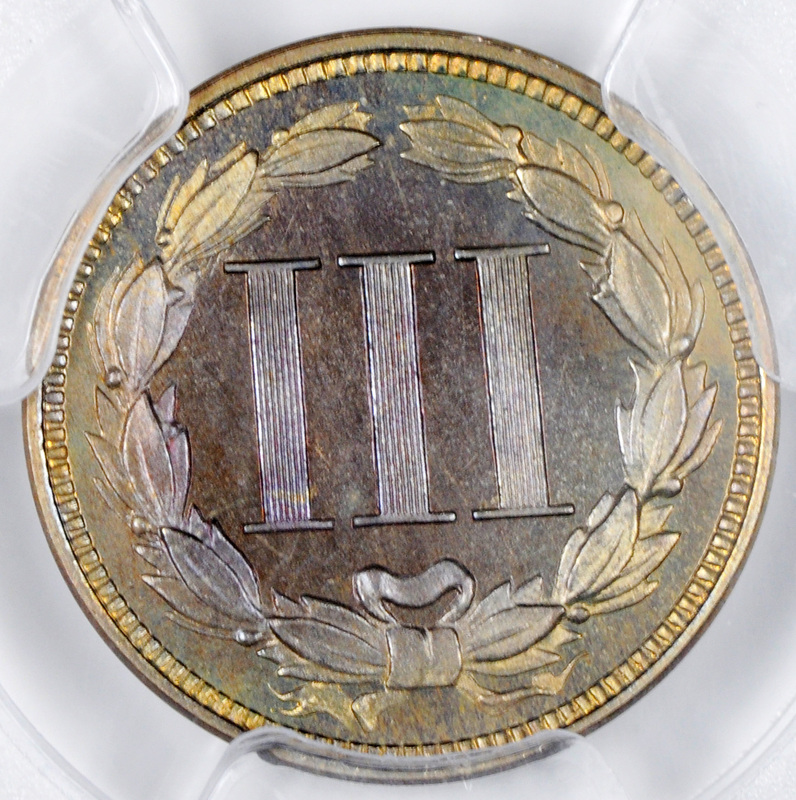 Even so, the now approved nickel three-cent was still mostly copper but it had a shiny surface, unlike the copper coins. The nickel three-cent coin, which was originally meant as a substitute for the silver coinage, ironically outlasted its silver brother. 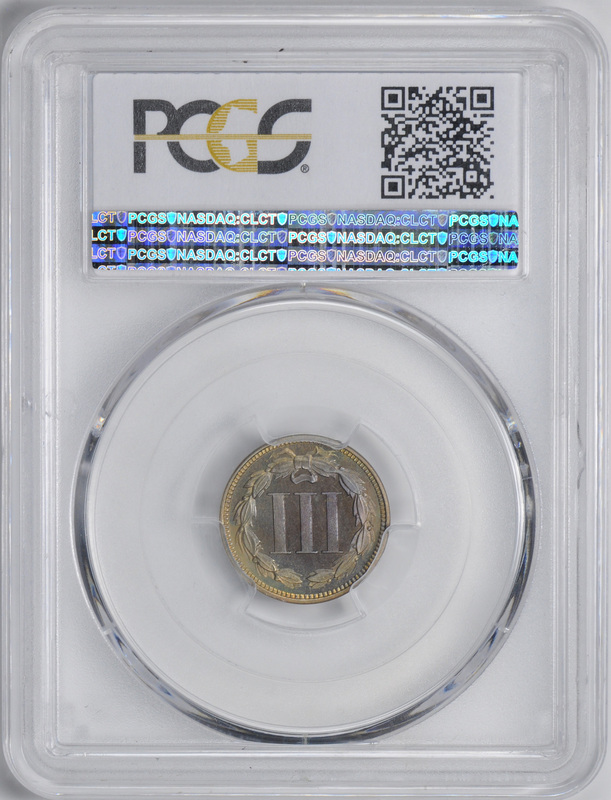 Surprisingly, despite a significant decrease in demand over the years, these coins were struck for a total of 24 years until the three-cent denomination was eliminated entirely in 1889.